Homecoming 2014 Alumni Queens will be crowned during the Alumni Coronation, Wednesday, October 2, 2014 at 6pm at the Gordon Library. They are: Pamela Holmes-Yancy (’86), Miss SSU National Alumni Association Member, Augusta Chapter of the SSUNAA, employed as a medical technologist at Charlie Norwood VA Medical Center; Dorothy B. 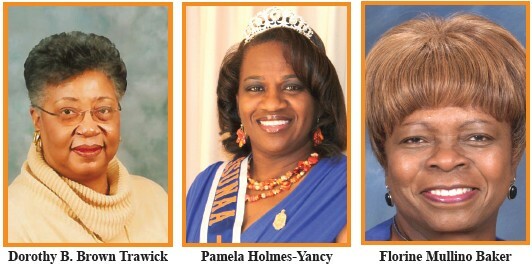 Brown Trawick (’68), Miss SSU National Alumni Association Attendant President, Baldwin County Chapter of the SSUNAA, Retired educator; Florine Mullino Baker (’70), Miss SSU National Alumni Association Attendant, Past President, South DeKalb Perimeter Chapter, Retired educator and counselor.